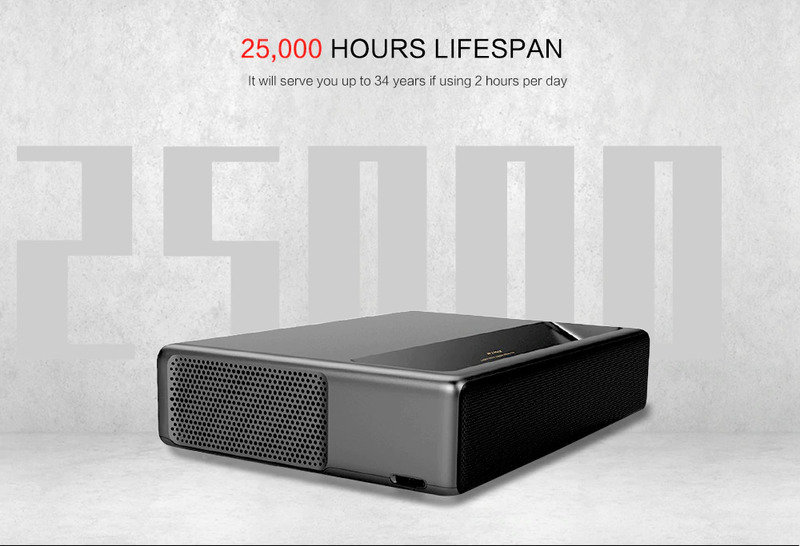 Last year the Xiaomi Mi Ultra Short throw 5000 ANSI Lumens Laser Projector was launched and was largely accepted by the market. The projector sold lots of units as it was dubbed one of the best China projectors as of that time. 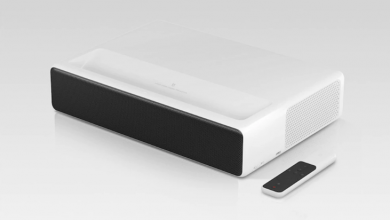 Xiaomi which always improve on there product and meet the users need and demand, weeks ago, , launched the Xiaomi WEMAX 7000 ANSI Lumens Ultra Short Throw Laser Projector which is an improvement to the former projector launched last year. 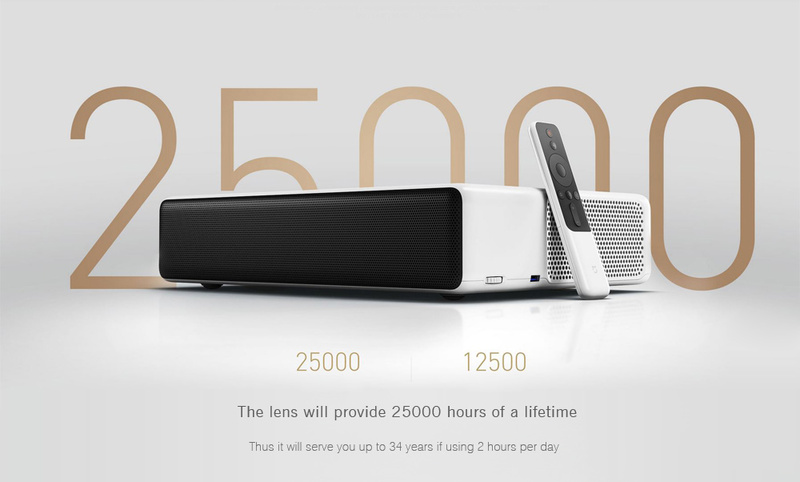 This projector is the world’s first ultra-short projector with advanced laser display ( ALPD ) technology. 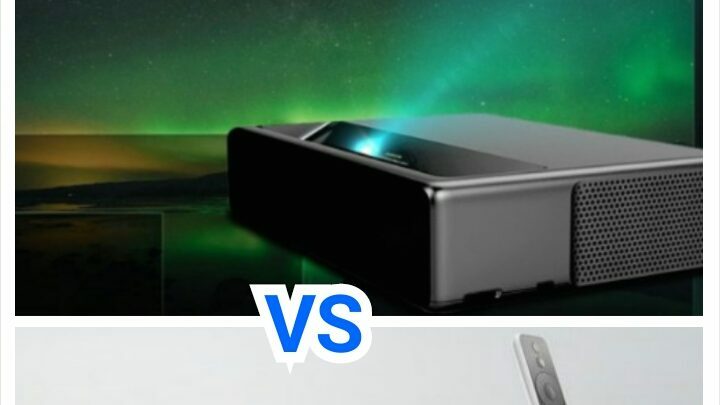 Without wasting much of our time, lets quickly see the differences, similarities, and price in this comparison between the Xiaomi WEMAX 7000 ANSI Lumens VS Xiaomi Mi 5000 ANSI Lumens Ultra Short Throw Laser Projector. Both projectors come in the same shape but have little differences in the dimension size. The WEMAX 7000 ANSI Lumens is a little bit bigger, but it is expected as it comes with features not found in its predecessor. It has a dimension of 44.00 x 29.00 x 9.00 cm while the Mi 5000 ANSI Lumens has a dimension of 41.00 x 29.10 x 8.80 cm. From this, you can see clearly the little difference in height and weight. Talking about weight, The WEMAX 7000 ANSI lumens is lighter than its predecessor. The WEMAX 5000 ANSI Lumens has a total weight of 6.32kg while the Mi 5000 ANSI Lumens has a total weight of 7.00kg. Both projectors deliver a whopping 150-inch TV clear experience. Both projectors also come with a 0.233:1 large depth of field lens and have an ultra-short focal lens design. This means that you only need to place your projector at arm’s length to achieve a 150-inch projection, to be specific, you need only a 50cm distance from the wall. Interestingly, the projector’s display can be adjusted to fit your TV screen. Like earlier stated, this WEMAX 5000 ANSI Lumens is the world’s first ultra-short projector with advanced laser display ( ALPD ) technology. So its already far ahead of its counterpart. But talking about the processor, Memory and operating system, both projector sports the same specs. 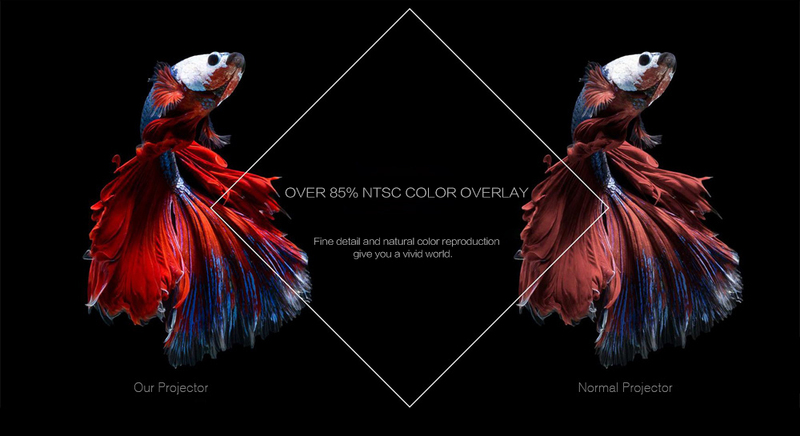 They come with a T968 Cortex-A53 4-core 1.8GHz chipset and it supports 1920 x 1080 resolution. This chipset is also paired with a 2GB DDR3 RAM and 16GB eMMC flash storage. 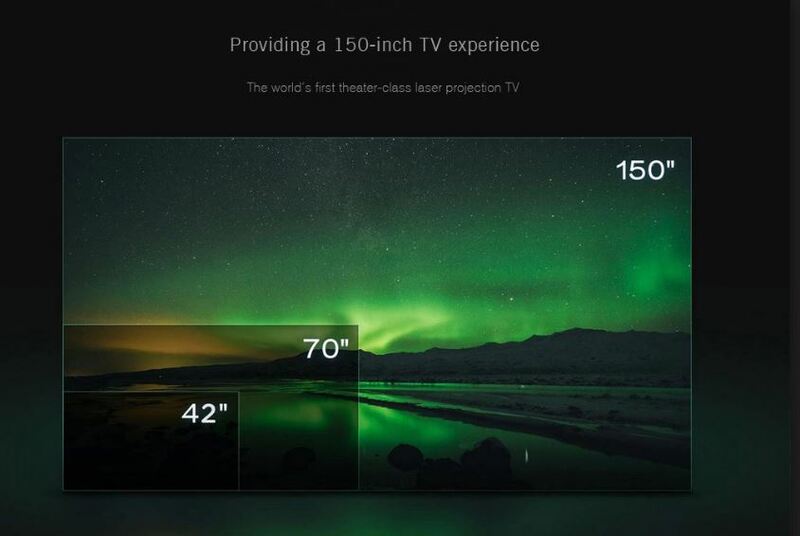 Apart from this, the projectors operate on MIUI TV OS and support Android 6.0 and above, which is more than satisfactory for a projector. Its high-precision, efficient, convenient and accurate electronic focus means that no detail is left out while rocking the device. 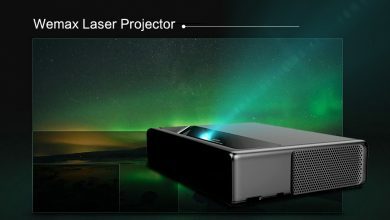 These projectors are not just simple screenless TVs, the Mi 5000 ANSI Lumens projector comes with a high-quality stereo which uses a custom inbuilt high-power, dual full-frequency, dual high-frequency, and high-fidelity 30W speaker system while the WEMAX 5000 ANSI Lumens projector sports a custom inbuilt high-power, dual full-frequency, dual high-frequency, and high-fidelity full frequency speaker x 2 + high-frequency speaker x 1 system. Lastly, the Xiaomi WEMAX projector has many common things with its junior brother Xiaomi Mi Laser Projector like we have seen, and in the aspect also, the sport almost the same things. Let’s just say the two models come with 25.000 hours of lamp life, thus it will serve you up to 34 years if using 2 hours per day. When your projector needs a new lens, Xiaomi will come in with a new motherboard. Replacing both components you will save a lot and have a new laser projector. The Xiaomi WEMAX 7000 ANSI Lumens Ultra Short Throw Laser Projector is currently available on Gearbest for $1779.00 using the coupon code: IT-CN01MAX. While the Xiaomi Mi Ultra Short throw 5000 ANSI Lumens Laser Projector is currently available on Gearbest for $1994.00, but with the Coupon Code: IT-CN10CMI. IT can be purchased for just $1679.99.